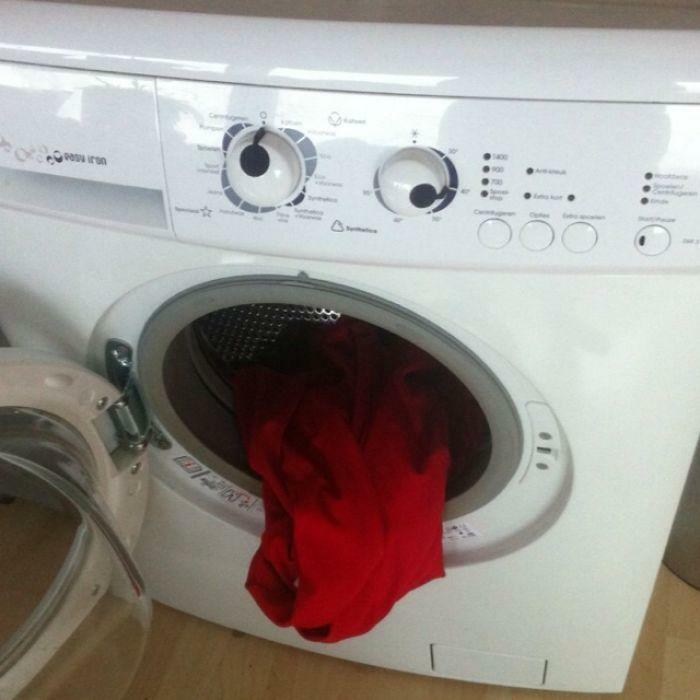 Have you planned for a very critical moment in your life late at night, but are currently in a panic only because your washing machine suddenly refuses to do it’s job properly just when you need it the most? Have you ever had that one chance to help out a friend who has, only to realize that you have no idea how to? To make matters worse, maybe you do have complete knowledge of how to, but you think you do not have the resources. On a lighter note, maybe you’ve been using your machine for quite some time now and simply want it to run the way it did brand new. What if I told you that you actually have everything you need to fix almost all your much-loved and much-needed machine’s problems for little to no cost and effort at all? Most people jump to the conclusion that a machine that does not wash is a broken machine and that it needs to be serviced by a professional. Fortunately, the cause of the problem is usually not as serious as it seems. For safety, most washing machines nowadays come with a sensor that detects if the lid is properly sealed. Make sure that there is nothing preventing the lid from resting where it is meant to. Most machines will refuse to work without water to prevent unnecessary damage to itself and to your clothes. Remove and clean your water supply making sure that there is no blockage in the hoses. Make sure your machine is filled to at least the minimum level.Some machines refuse to start when overloaded or if there is something preventing the motor from spinning. Try decreasing the amount of clothes and check if there is anything stuck within the small gaps between the rotor and the body of the machine. Double check if the machine was plugged properly. If it was, follow the power cable from the plug all the way to the machine and see if there is any damage. If there are no signs of damage, try plugging the machine into to a different power outlet and make sure that no fuses and circuit breakers in your house’s power supply have been tripped. For those with a few extra tools, here’s a video showing more ways you can troubleshoot your machine. As a bonus, here’s a video of how a washing machine was repaired by cleaning a tube used to measure pressure. Aside from shortening your machine’s lifespan, excessive vibrations may cause serious damage that could prevent your machine from operating efficiently. The most common cause of this is an unbalanced load. Your machine is capable of spinning your clothes at nearly 2000 rotations per minute. This means that a slight imbalance in the weight distribution of your clothes may cause very big vibrations. Try rearranging your clothes or decreasing the load for your machine. Almost all machines come with locking mechanisms that secure them firmly on the ground. Make sure that all locks are engaged correctly. Adding a little additional weight on top of your machine may stabilize it further, however, be very careful and make sure that you are not setting up a safety hazard for yourself and the people around you. 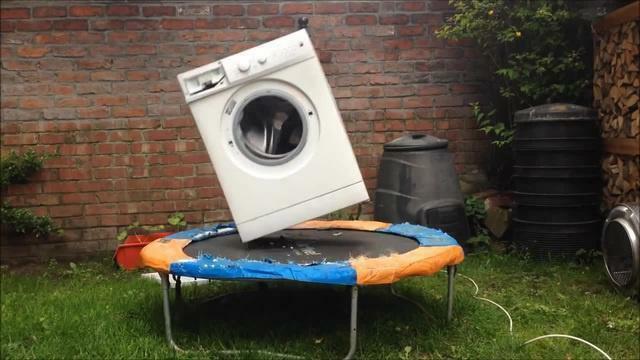 Here is a video which shows how you could level your washing machine to stabilize it even further. You set your usual washing machine cycle, go out to grab a coffee while planning your next appointment. After an hour of trying to maximize every minute of your time, you come back home and are greeted with a machine that is stuck mid-cycle. 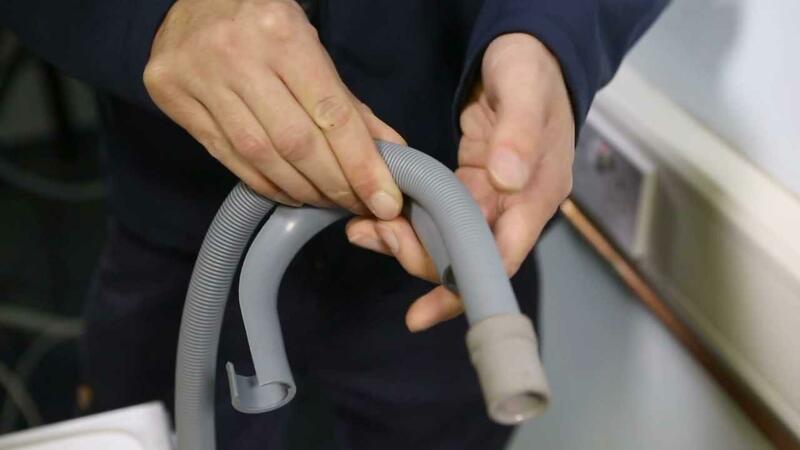 Carefully take apart your machine’s drain pipe and inspect it for any blockage. Clean and flush it out even if there is no visible blockage. Sometimes a slight difference in pressure is all it takes to halt an entire wash cycle. If possible, check the inside of your machine’s drum for any drains blocked by little objects such as plastics, coins and dirt. Make sure you used the proper amounts of detergent. Too much can cause blockage within the machine’s plumbing. Depending on your machine, do not position your drain pipe too high. Some machines do not pump water out while draining and simply rely on the pressure of the water itself and gravity. Placing your drain pipe too high may prevent the water from draining properly. If you’ve got tools such as a multi-meter and wanted to diagnose your machine’s problem even further, here’s a video showing additional steps you may take. 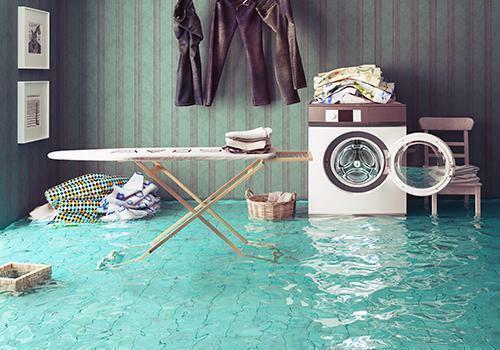 If left unattended, a leaking washing machine could lead to serious accidents. Make sure that all power cables within the area are secure even after adjacent portions of the floor are submerged in water. Do not fill your machine with too much water. Most machines are designed to automatically drain when you exceed the maximum water level. Make sure that your machine is not shaking more than it is supposed to. Excessive movement could render your machine unstable and cause water to leak.Make sure that all hoses are attached correctly. Disconnect water supply hose and check if your faucet is leaking water even when its valve is shut tight. 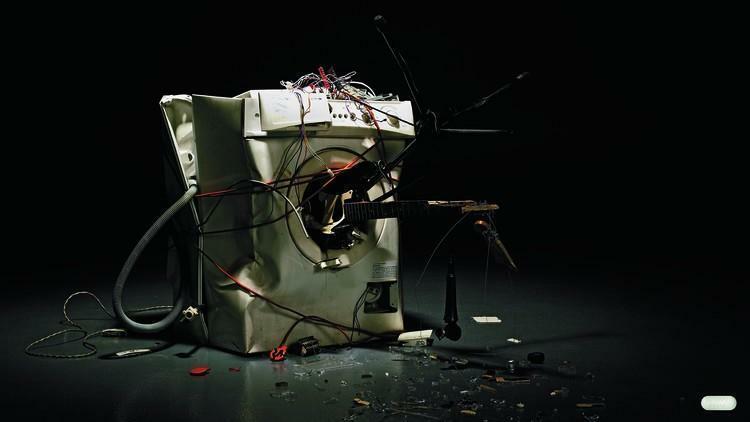 Check the inside of your washing machine’s drum for any damage. As a temporary fix, place waterproofing tape over small cracks or dents. Here is a video which shows how to pinpoint the source of your machine’s leak. Abnormal noises should always be given immediate attention because although it may not always mean there is a problem, it could eventually lead to major damage. Check if you have completely emptied all pockets and if there are any solid objects that could cause noise while the machine is operating.Inspect your machine’s drum for any stuck objects. Check if the lid of your machine is properly shut. Make sure your machine is not shaking more than it is meant to.Inspect the immediate surrounding area of your machine. Be sure that your machine does not make contact with anything while operating. Check if the drum or rotor of your machine is still secured tightly.Loose or shaky components could also cause unnecessary noise. Check for missing screws and bolts. If these don’t solve your problem, here is a video which shows some uncommon causes for excessive noise. Observe the wash cycle of your machine from time to time as old or dirty machines might not be dispensing detergent properly. The wash cycle may continue, but your clothes will not be cleaned efficiently. Clean your machine regularly. Dirty machines will always have a shorter lifespan than machines that are always well-maintained. 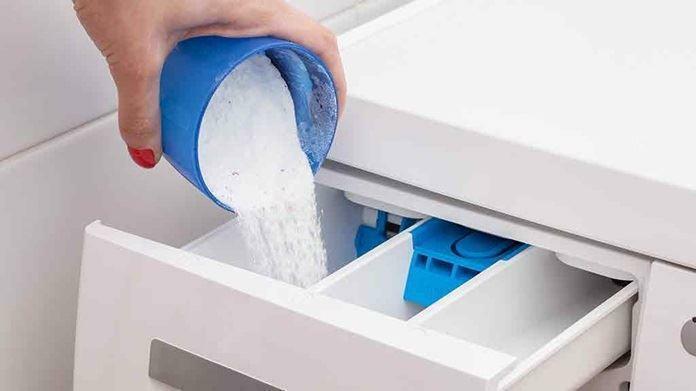 Do not overfill your machines detergent dispenser.Make sure that you are using the right detergent for your machine. Inspect if there is anything blocking the detergent dispenser. There could also be damage in the detergent holder assembly. Here is a video that shows how a broken detergent assembly fails to dispense correctly. Unpleasant smell could indicate contamination or simply bad maintenance. Rinse off any substance from your clothes that has an unpleasant smell such as vomit or chemicals before placing them in your machine. Inspect both the interior and exterior of your machine for mold or corrosion. Rust could indicate that your machine is damaged. Apply rust removers to affected areas. Leave bleach on areas with growth for a day. 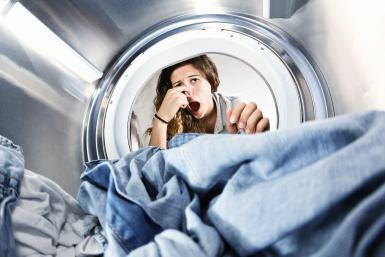 Check if the smell is coming from your laundry room’s drain. Here is a video which shows a very effective way to clean your washing machine and prevent it from accumulating unpleasant odors.